The House passed an ethics bill Tuesday by a vote of 144-1, overcoming objections about a requirement that lawmakers disclose their spouses’ sources of income. 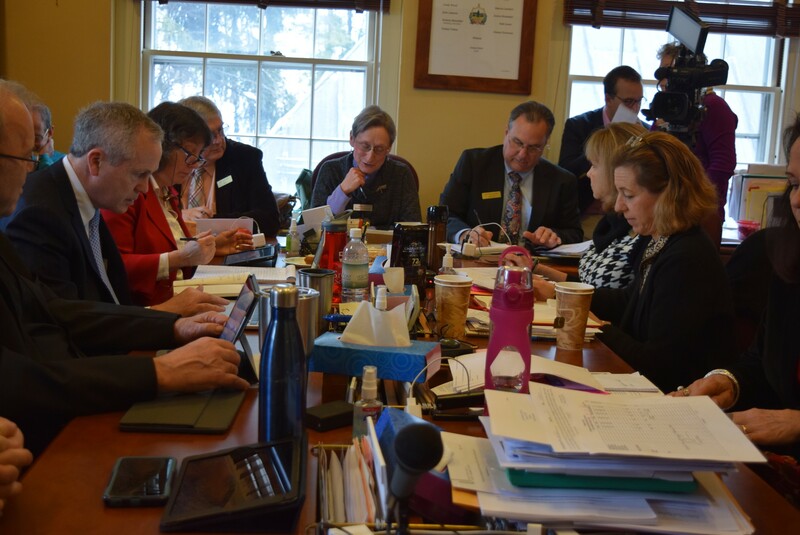 The legislation creates an ethics commission, prevents lawmakers from becoming lobbyists within a year of leaving their seats and requires political candidates to disclose financial information. Transparency advocates have deemed it a good start. But they’ve criticized certain aspects of the bill, such as the fact that the ethics commission can accept — but not adjudicate — complaints about conflicts of interest or other ethical transgressions. A number of lawmakers resisted efforts to strengthen the bill, citing concerns that it would facilitate political witch hunts. By the time the bill, which passed the Senate earlier this year, came up for a final vote in the House, only one concern remained unresolved. Candidates for statewide or legislative office would have to list sources of income that exceed $5,000, although not the amounts. The sticking point Tuesday was the fact that this requirement extends to their spouses or partners. She offered a string of hypotheticals: What if the House speaker was married to the president of Blue Cross Blue Shield of Vermont, or the Senate president pro tempore was the partner of the CEO of Green Mountain Power? “You’re darn right that their constituents should know,” Scheuermann said. The amendment failed 109 to 33, and in the end even Poirier voted for the underlying bill, which passed 144-1. The only no vote came from Rep. Steve Beyor (R-Highgate Springs). The bill originated in the Senate, which did not include disclosure of a spouse’s income. Lawmakers will reconcile that and other differences between the two versions in a conference committee.